the weatherproof, breathable woven polyester allows heat to escape. 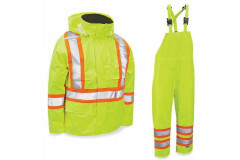 offers 360° 2" wide hi-vis reflective tape to stay visible. 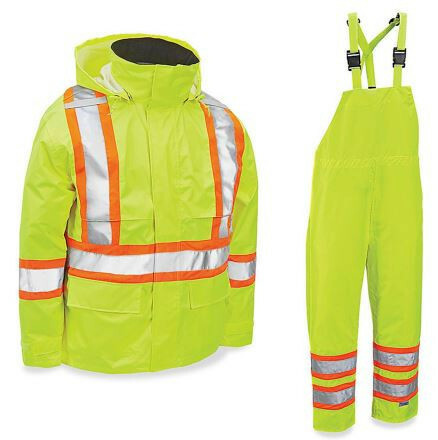 the jacket features snap-on hood, mesh liner and 5 outer pockets and the overalls have quick-release suspenders. one size xl.